Are you ready for the LAST Vans Warped Tour ever?? The rumors have been confirmed – 2018 will bring the legendary tour to a close. 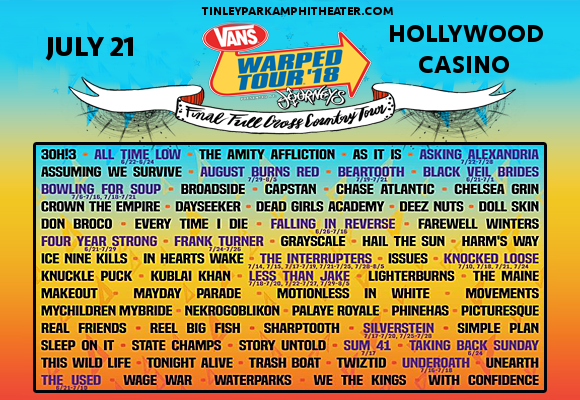 Catch an incredible lineup including Motionless In White, Reel Big Fish, Beil Veil Brides, We Are The Kings, Four Year Strong and much, MUCH more at the Hollywood Casino Ampitheatre on Saturday 21st July 2018!! It’s going to be an unforgettable experience – get your tickets TODAY, while they last! !